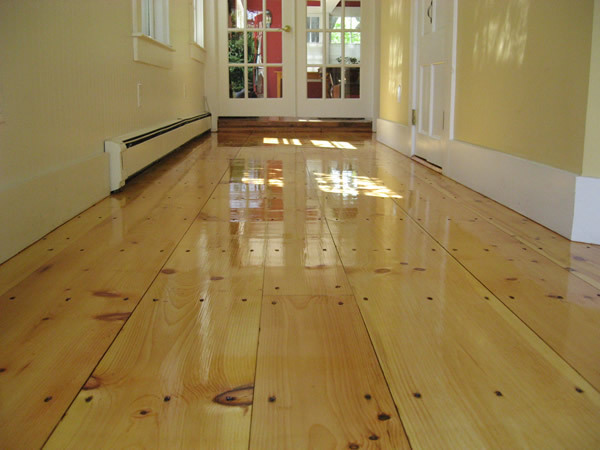 Current trends in the wood flooring industry. I met Denise from David J Galvin Flooring in Groton, MA today. After viewing their website I couldn’t help but post these pics of their work, its fantastic. 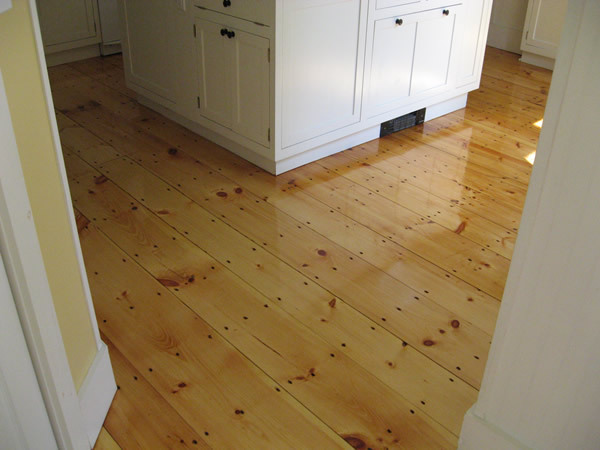 This is a random width white pine floor, face-nailed and finished with Waterlox. It’s a real beaut! Notice it hearkens back to an earlier post that I wrote about character floors (floors with lots of knots, color variation and graining) deserve to be the star of the show so to speak. These white cabinets let the floor take center stage. Wood Floor + Lizards = ? I'm Sam Cobb. I currently serve as Managing Partner/CEO of Real Wood Floors. I started this blog to open a discussion of emerging trends in the wood flooring industry. We've compiled a great list of contributors each bringing a unique perspective to the discussion providing you real-time info on current style trajectory. Keep me updated on the latest trends.